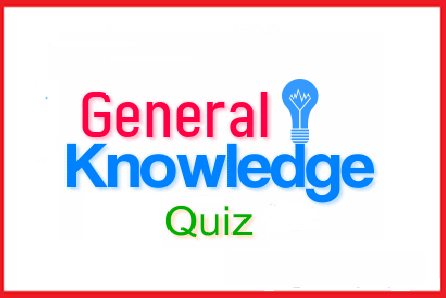 General Knowledge questions on Indian GK for Bank PO, IBPS, Bank Clerical And Indian GK For RRB Assistant Loco Pilot Group D 29-08-2018 questions for bank exams, very important computer-related questions for Bank PO, SBI PO, IBPS,RAS, IAS, UPSC, RPSC, 1st, 2nd, 3rd Grade Teacher, REET CTET, LDC, SSC CGL, IBPS, MBA, CAT, MAT, SBI-PO, RBI And Railway, Indian Army And all competitive Exams, and Most expected Computer Question Papers with answers. These Questions are most commonly asked in Other Banking Exam And All subject Wise Notes and Math, Hindi, English, History, Political Science, Psychology, Sanskrit Related Study material. Question(1) Who was the companion of Bhagat Singh in throwing a bomb in the Central Assembly? केन्द्रीय असेम्बली में बम फेंकने में भगत सिंह का साथी कौन था ? Question(2) When did the Muslim League first demand the partition of India? मुस्लिम लीग ने भारत विभाजन की मांग सबसे पहले कब की थी ? Question(3) Who was the publisher of Common Will magazine? काँमनवील पत्रिका का प्रकाशन किसने किया था ? Question(4) Who is the only Indian to win Nobel prize in economics? Question(5) 1856, whose widow remarriage law was made? 1856 में विधवा पुनर्विवाह क़ानून किसके प्रयासों से बनाया गया था ? Question(6) Where did Lord Canning announce the rule of the Crown in India in the court held in November 1858? लॉर्ड केनिंग ने नवंबर 1858 में कहाँ आयोजित दरबार में भारत में क्राउन के शासन की घोषणा की ? Question(7) The ruler of which state was the first aid treaty with Lord Vejleley? लॉर्ड वेलेजली के साथ सबसे पहले सहायक संधि किस राज्य के शासक ने की ? Question(8) What is the largest tribe in India? भारत की सर्वाधिक बड़ी जनजाति कौनसी है ? Question(9) Who was the first woman president of the Indian National Congress? Question(10) Who is known as Shaheed-e-Azam?